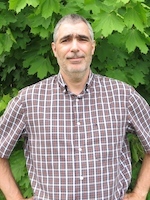 Christian Bouchard is full professor at the School of the Environment at Laurentian University (Sudbury, Canada) where his teaching concentrates on sustainable development. Holding a Ph.D. in geography (Université laval, Québec), its research work focusses mainly on the Indian Ocean geopolitics and the Southwest Indian Ocean, with a particular interest for maritime geopolitics and the small island states and territories of the region. He is actually associate editor for the Journal of the Indian Ocean Region (Routledge, Taylor & Francis Group) as well as a member of the editorial boards for the Cahiers de géographie du Québec (Université Laval, Québec) and VertigO – La revue électronique en sciences de l’environnement (Université du Québec à Montréal). He is also funding member of the Indian Ocean Research Group (IORG Inc.). At Laurentian since 2003, I am actually the Program Coordinator and Student Advisor for the French program in Environmental Studies (BA en études de l'environnement). I am also a member of the LU Academic Senat and a Board member of the LU Faculty Association. Bouchard C. & W. Crumplin (2013) « Indian Ocean region: The evolving context and rising significance of the African littoral », Journal of the Indian Ocean Region (Taylor & Francis Group / Indian Ocean Research Group), vol. 9, no. 2, pp. 150-172. Bouchard C. and W. Crumplin (2013) « France as a pertinent and significant Indian Ocean player », FPRC Journal (Foreign Policy Research Centre, New Delhi, India), No.14 - Indian Ocean: A New Vision, pp. 88-100. Bouchard C. and W. Crumplin (2011) « Two faces of France: ‘France of the Indian Ocean’/‘France in the Indian Ocean’ », Journal of the Indian Ocean Region (Taylor & Francis Group / Indian Ocean Research Group), vol. 7, no. 2, pp. 161-182. Bouchard C. and W. Crumplin (2011) « Regionalism: the experience of the South-West Indian Ocean Islands » in Sakhuja V. (ed. ), Reinvigorating IOR-ARC, New Delhi: Pentagon Press, pp. 27-59. Bouchard C. and W. Crumplin (2010) « Neglected no longer: the Indian Ocean at the forefront of world geopolitics and global geostrategy », Journal of the Indian Ocean Region, Vol. 6, No. 1, June 2010, pp. 27-49. Bouchard C. (2009) « Transition énergétique dans le contexte des petits États et territoires insulaires » in Boissoneault, J., Corbeil, R. et A. Hien (dir. ), Actes de la 15e Journée Sciences et Savoirs. Sudbury : ACFAS-Sudbury (Université Laurentienne), p. 197-211. Bouchard C. (2009) « Fisheries in the French Indian Ocean Territories » in Rumley D., Chaturvedi S. et Sakhuja V. (dir.) Fisheries Exploitation in the Indian Ocean Region: Threats and Opportunities. Singapour : Institute of Southeast Asian Studies (ISEAS), chap. 9, pp. 177-193. Bouchard C. (2008) « Climate Change, Sea Level Rise, and Development in the Small Island States and Territories of the Indian Ocean » in Doyle, Timothy et Risely, Melissa (dir.) Crucible for Survival: Environmental Security and Justice in the Indian Ocean Region. Piscataway (NJ) : Rutgers University Press, chap. 18, pp. 258-272. Bouchard C. (2007) « Maritime Affairs in the Mozambique Channel » in Rumley, Dennis Chaturvedi, Sanjay et Taib, Mat (dir.) The Security of Sea Lanes of Communication in the Indian Ocean Region. Kuala Lumpur : Maritime Institute of Malaysia (MIMA), Indian Ocean Research Group (IORG) vol. 3, chap. 5, pp. 73-92. Bouchard C. (2006) « Question de géographie et de développement : Petits États et territoires insulaires du sud-ouest de l'océan Indien ». Cahiers de Géographie du Québec, vol. 50, no. 141, pp. 469-477. Bouchard C. (2006) « L’Altermondialisme : un mouvement émergent dans la nouvelle donne géopolitique mondiale » in Jouve, Bernard et Roche, Yann (dir.) Des flux et des territoires : vers un monde sans États? Québec : Presses de l’Université du Québec, Coll. Géographie contemporaine, chap. 7, pp. 199-225. Bouchard C. (2005) « Le défi de l'autosuffisance énergétique dans les petites îles du sud-ouest de l'océan Indien » in Jauze, Jean-Michel et Guébourg, Jean-Louis (dir.) Inégalités et spatialités dans l'océan Indien. Paris / Saint-Denis : L’Harmattan / Université de la Réunion, pp. 283-297. Bouchard C. (2004) « Emergence of a new geopolitical era in the Indian Ocean: characteristics, issues and limitations of the Indianoceanic Order » in Rumley, Dennis et Chaturvedi, Sanjay (dir.) Geopolitical orientations, regionalism and security in the Indian Ocean. New Delhi : South Asian Publishers, pp. 84-109. Bouchard C. (2004) Les petits états et territoires insulaires. Saint-Denis (Réunion) : Observatoire du développement de la Réunion (ODR), coll. Documents, no. 51 (Nov. 2004), 77 pages.